A new NSA scandal in Germany (PDF) reveals cooperation with the NSA—despite feigned indignation about the earlier NSA snooping of Chancellor Angela Merkel's email. SAP (headquartered in Germany and one of their largest tech companies) helped deploy The Eclipse Foundation / IBM / NSA platform stolen from inventor Leader Technologies. Corporate giant SAP America appears to have no sense of humor. While they abuse true American inventors, they are thin skinned when called on the carpet for their corruption. On Dec. 6, 2014, AFI exposed Patent Office chief judge Robert MacNamara's holdings in JPMorgan and SAP in an unfounded patent reexamination captioned Pi-Net/Dr. Lakshmi Arunachalam v. SAP America. Dr. Arunachalam holds about 15 patents on much underlying infrastructure used widely in ecommerce. SAP is trying to steal them without compensating her. Rumors are circulating that JPMorgan and SAP are attempting to get royalty-free, perpetual licenses for the technology they have stolen from inventors--even royalty-free rights to their future inventions in exchange for not persecuting the inventor. This mentality is socialism. It undermines the U.S. Constitution, Article I, Section 8, Clause 8 on copyrights and patents. The fruit of your liberty and labor is your property. 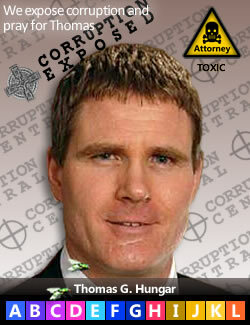 In that exposé, we included a photo of Judge MacNamara with an attorney toxic waste symbol. The illustration was satire to emphasize the destructive effects that the legal profession is having on our American Republic (see Fig. 1). In SAP's filing yesterday, they implied that Dr. Arunachalam was responsible for the AFI posts. She is not, but even if she was, the last time we checked, the First Amendment is still in the U.S. Consititution. SAP America conflated the description this way: "a picture of [the Judge] superimposed on a background of simulated targets with a skull and crossbones." Really? (Tellingly, SAP failed to mention the words "CORRUPTION CENTRAL," and thus took the description out of context which takes aim at the toxic conduct of corrupt officials and judges. These "Punks with a Pen" lawyers are masters of fabricated evidence.) We are pleased that SAP is reading our posts. Critiques of the conduct of public figures is an absolute necessity to maintain our Republic from the corrosive effects of corruption and abuse of power, as is exhibited in Dr. Arunachalam's patent case, in our opinion. 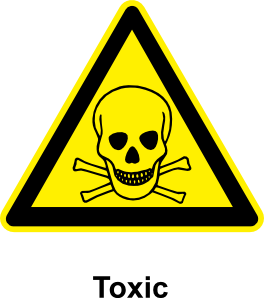 We invite SAP to add comments if they believe something we have posted is incorrect. Facebook Cartel Alert: SAP America is a founding member of David J. Kappos', James P. Chandler's and IBM's The Eclipse Foundation on Nov. 29, 2001. This could explain their sensitivity to having their conduct exposed. It appears that SAP, too, has relied upon Leader Technologies' social networking invention, just like Facebook. Is SAP in cahoots with the Patent Office (formerly directed by The Eclipse Foundation's founder, IBM's David J Kappos) and cooperating with the NSA also? Are Zuckerberg's hard drives going to incriminate SAP also? The scandal grows. Fig. 2—President Barack OBama kibitzes with Mark Zuckerberg. Barack Obama announced his candidacy for President on Facebook in 2007. Pundits credit his election and re-election with the slicing and dicing of Facebook demographic data to micro-target voter groups to whom he pandered. 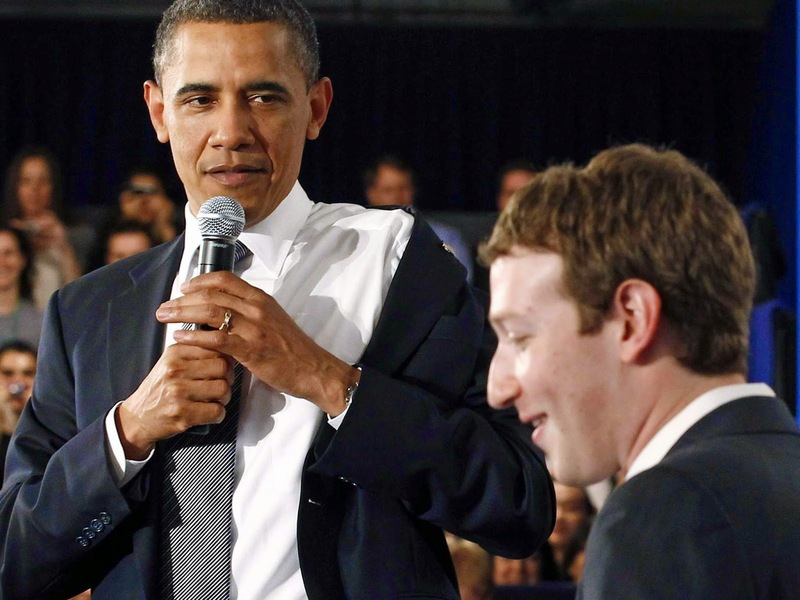 It appears that both Obama and Zuckerberg have the same handlers. Facebook began feeding user data on American citizens to the NSA just nine weeks after Eric H. Holder, Jr. became U.S. Attorney General. Was this the greatest public-private mercantile sell out of all time? Are your children safe on the Facebook platform? Is our Republic's political dialogue safe in the hands of these unaccountable predators and their secret censors of "community standards?" Photo: Reuters / Jim Young. (Apr. 29, 2015)—Mark Zuckerberg was a 19-year old Harvard sophomore in 2003-2004 when Facebook began. The Social Network movie “narrative” led the public to believe that Zuckerberg was some sort of savant who could write computer code 20 or 30 times faster than a normal programmer. Not a single mainstream media investigator has ever questioned this story. Given the pervasiveness of social networking in our culture—the media silence about Facebook’s origins betrays the secret loyalties of media editors and their owners who appear to have been insiders in this deception. Will a Free Press return? Hopefully, an independent Free Press will return before our Republic is destroyed by this acquiescence to crony capitalism. Today, Facebook is protected by a phalanx of large law firms who have stonewalled every attempt to learn the truth about Zuckerberg and Facebook in 2003-2004. Prominent among these firms are Fenwick & West LLP, Gibson Dunn LLP, Cooley Godward LLP and Orrick Herrington LLP. Incontestably, these law firms have outright lied to numerous federal judges in trade secrets, patent and breach of contract lawsuits filed against Zuckerberg and Facebook. They have also lied to the American public in the sale of Facebook stock to the public and their reliance on stolen intellectual property. Normally, such lies would land these people in jail. But in Obama’s brand of justice, these people are excused and elevated to high office. How do we know that The Social Network was a false narrative meant to fool the public into believing Zuckerberg was something he never was? In a recent Zuckerberg v. Argentieri court filing, Zuckerberg wrote that he "conceived of Facebook" "around December 2003." However, in his 2006 ConnectU testimony he was clear that it was "one to two weeks" in January 2004. In Ceglia v. Zuckerberg he first claimed the contract was a forgery. Then later, in U.S v. Ceglia, when it became clear that his original signature was on page two, he said the 2nd page was genuine, but the 1st page was a forgery. The government accepted his claim without independent verification and threw Ceglia in jail. The U.S. Attorney Preetinder Bharara was formerly employed by Gibson Dunn LLP, Facebook's attorney, and a fellow Obama Harvard crony. However, in recent weeks the government disclosed an August 18, 2003 email where Zuckerberg and Ceglia discussed the second contract. Then just a few weeks ago, the U.S. Secret Service Forensic Labs confirmed that both pages of the contract are genuine. 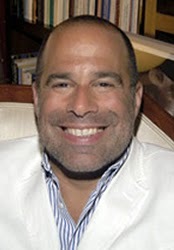 Despite this hard proof, Gibson Dunn LLP's mobster "Punks with a Pen" continue to shout the stale "forgery!" fiction in an obvious attempt to cover up the new facts that expose their false "narrative." 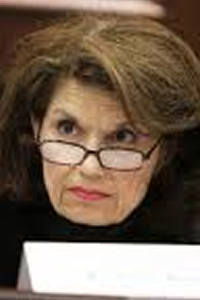 The judges and media that Gibson Dunn is shouting at are either gullible, or complicit. Fig. 3—Zuckerberg and Facebook concealed 28 hard drives and Harvard emails from discovery in the Leader v. Facebook patent infringement case. Leader nonetheless proved that Facebook infringes Leader's invention of social networking on 11 of 11 claims. Facebook's attorneys lied to the court and said this information was lost. See Rose and McGowan depositions. Magically, this information was found to be in the custody of Facebook's appeals attorney, Gibson Dunn LLP, the entire time. This revelation occured just two days after the Federal Circuit appeals court denied Leader's appeal on a trumped up Facebook side issue that the judges affirmed. The judges in Leader v. Facebook, just like the judges in Ceglia v. Zuckerberg, hold substantial amounts of financial interests in Facebook at its underwriters. These holdings and their prior relationships with Facebook's attorneys dictated their recusal according to the Code of Conduct. These judges have been playing paddy cakes games trying to hide behind ambiguous guidelines that appear to let them hold stock in litigants behind mutual funds. But, the self-serving guidelines are convoluted and fail to address the overarching instruction to avoid even the appearance of impropriety—which their mutual fund games do not. Instead, they hammered down against the U.S. Constitution and sacred American property rights in order to protect their cronies. See Hijack of the Cyber World Timeline and Database. During 2003, while Leader Technologies was busy debugging its social networking invention, Zuckerberg set about to stall at least three other campus facebook initiatives by Paul Ceglia (Facebook), the Winkelevoss Twins (ConnectU) and Aaron Greenspan (HOUSEsystem). The various deceptions were necessary so his former PayPal handlers (James W. Breyer, Reid Hoffman, Peter Thiel), in collusion with IBM attorney David J. Kappos and IBM’s "The Eclipse Consortium," could wait for Leader's 750,000 lines of source code to be debugged and fed to them by Leader's patent counsel, IBM's chief outside counsel. For comparison, a good programmer can write and test perhaps 300-400 lines of debugged (clean up all drafting errors) code a day. Leader's debugging was completed on Oct. 28, 2003. Magically, Zuckerberg hacked the house sites at Harvard that same night ("Let the hacking begin."). Several months later, in the coincidence of coincidences, IBM-Eclipse sponsored its first "EclipseCON" on Feb. 2-5, 2004. Magically, Facebook launched on Feb. 4, 2004, during the convention. Rolling forward, Barack Obama was elected on Nov. 4, 2008. On Nov. 18, 2008, Leader Technologies sued Facebook for patent infringement. On Nov. 28, 2008, Harvard's Larry Summers was appointed to lead the bank bailout and thereafter funneled $33 million to Goldman Sachs, Morgan Stanley and JPMorgan—all Facebook underwriters. On Dec. 12, 2008, the FISA Court quietly change thde oversight rules which effectively gave the incoming Attorney General almost dictatorial powers to allow the NSA to spy on American citizens on the flimsiest of probable cause. On Mar. 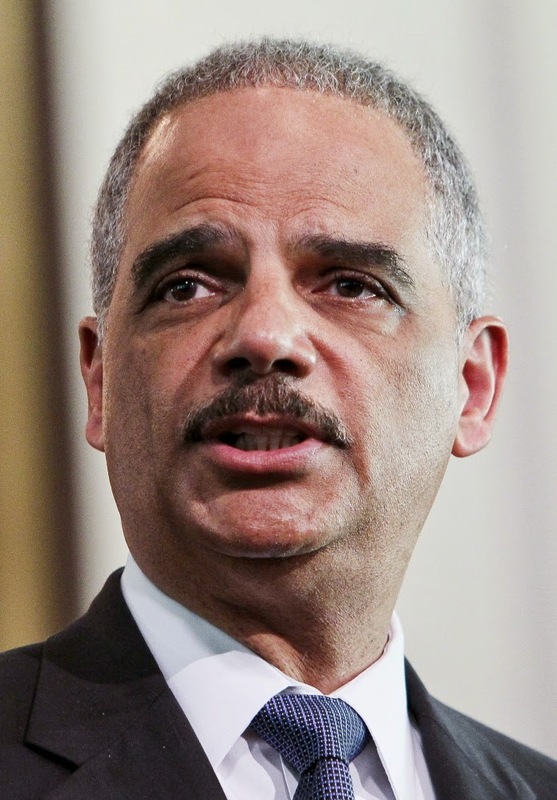 27, 2009, Eric H. Holder, Jr. became U.S. Attorney General. Leader Technologies' patent attorney, James P. Chandler, appears to have had murky control over Holder's nomination and the relationship between the Justice Department and the NSA. Nine weeks after that, on Jun. 06, 2009, Facebook began feeding American user data to the NSA based on a dubious FISA opinion concocted just months earlier to give incoming Eric H. Holder, Jr. almost dictatorial powers to snoop on American citizens. See previous two posts. Also in June 2009, Facebook told Leader Technologies' attorneys that Zuckerberg's 2003-2004 information requested in discovery was all lost. On Nov. 29, 2001, during Kappos' tenure at IBM, he and Chandler cajoled IBM to invest $40 million to start The Eclipse Foundation. The publicly available Eclipse minutes from Dec. 8, 2004 state they were “unable to locate” the original contributor of the code they used to start Eclipse. The minutes also declared that they must “re-implement” its founding source code. “Re-implementation” is lawyer sophistry for steal. Notice to the Facebook Cartel lawyers: we found the contributor you were unable to locate! Leader Technologies—true American innovators from Columbus, Ohio. Turns out, your law professor buddy, Professor James P. Chandler, was Leader's patent counsel at the time you stole Leader invention starting in late 2001! (See Eclipse formation announcement, Nov. 29, 2001; See first Eclipse board meeting minutes.) James P. Chandler—the esteemed professor emeritus of intellectual property law from George Washington University and author of the Economic Espionage Act of 1996—must've had a brain freeze not to remember his client's name. Isn't it a crazy coincidence that Chandler also happened to have two protégés who just happened to gain high office in the Obama White House in IBM/Eclipse's David J. Kappos (Patent Office director) and Eric H. Holder, Jr. (Attorney General)? Isn't it also just crazy coincidence that Chandler cut a backroom deal with IBM/Eclipse to construct a special backdoor for the NSA into the Eclipse platform Leader platform that you gave away (without Leader's permission) to every developer on the planet in 2004. As a result, the NSA can snoop on every American, including our children, at their convenience, in total secrecy. Yee Haw, it was an "open source" code free for all, wasn't it? You certainly do know how to "lose" incriminating evidence when it is convenient. No wonder Facebook looked so much like Leader's invention. It was! 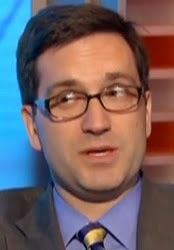 You high paid lawyer malcontents sure are clumsy with your evidence. You lost Lois Lerner's emails. You deleted Hillary's email. Shucks, you just cannot find DoJ emails. You have stonewalled review of Zuckerberg's 28 hard drives and Harvard emails in Leader v. Facebook, Celgia v. Zuckerberg, U.S. v. Ceglia. Yada, yada, yada. The first whistle blower might be able to cut a deal to stay out of jail. You younger lawyers don't want to ruin your lives and families for these misguided people. Don't be fooled any longer, their conduct is greed, powermongering and criminality dressed up in the verbiage of "national security." On Jul. 18, 2012, Facebook's experts Rose and McGowan revealed that 28 Zuckerberg hard drives and Harvard emails were not lost and were in the custody of Gibson Dunn LLP the whole time, proving that their claims to Leader Technologies were a lie. Fig. 4—Obama and his handlers had a clear agenda to feed Facebook user data to the NSA secretly. The restrictions, checks and balances on the FISA Court established by the Patriot Act were secretly revised by Chief Justice John G. Roberts, Jr.'s appointments to the FISA court without any independent oversight or review. The new Attorney General, Loretta Lynch, has stated her intention to extend these abuses of power for another five years. The FISA Court is merely eyewash for the Facebook Cartel and must be dismantled. See Hijack of the Cyber World Timeline and Database. Over one billion Facebook users, Facebook's shareholders and the American public deserve to know the truth about Zuckerberg and Facebook’s origins. The fact that Facebook’s lawyers have stonewalled (with extensive judicial cooperation) every lawful request to review Zuckerberg’s 2003-2004 hard drives and Harvard emails is telling. What are they hiding? If their arguments are genuine, then they have nothing to worry about. If on the other hand, the investigation proves that Ceglia’s contract is genuine, and it proves that Facebook relies on Leader Technologies’ invention, then Facebook is led by thieves and liars who have made a pact with the devil in their cooperation with the NSA. If the latter is true, then these are not the sorts of people to be managing the online conversations of our children. Would you drop off your children to play in playground full of thieves, liars and money launderers? That appears to be exactly what is happening on Facebook. This issue has become one of public safety and security, and not just one of constitutional contract and patent rights. 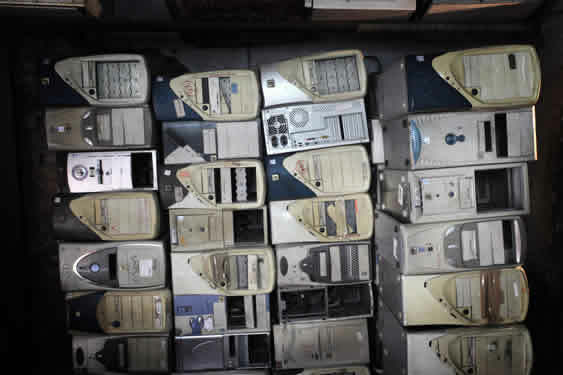 It’s time for an independent commission to get to the truth about Zuckerberg and Facebook’s origins—before Facebook’s lawyer, Gibson Dunn LLP and McManus Faulkner LLP, cause these 28 hard drives and Harvard emails in their custody to disappear, magically. Fig. 1—The Second Circuit judges issued an opinion that runs roughshod over Paul Ceglia's most basic constitutional rights to a fair and impartial tribunal in Ceglia v. Zuckerberg and U.S. v. Ceglia. These judges failed to disclose their substantial holdings in Facebook financial interests that betray their bias to rule in Facebook's favor. The U.S. government is very evidently protecting Zuckerberg and Facebook. We believe this obvious abuse is designed to: (a) protect their personal financial holdings, and (b) to preserve the private agenda of the Facebook Cartel in collaboration with the FISA Court and the NSA to sieze control of America's digital infrastructure before President Obama leaves office. Ceglia is in their way. Warning: Facebook's astroturfers will be out in full force defending these judges and calling Paul Ceglia every name they can think of. We have now come to expect such unsavory conduct from Facebook's "Punks with a Pen" (see previous post). (Apr. 20, 2015)—No wonder Paul Ceglia left town with his family. The American justice system is out to put him away because, we believe, his claims upset a long-planned hijack of American digital infrastructure by Facebook’s handlers via the NSA, IBM and The Eclipse Foundation. In the process, judges are being handsomely compensated by Wall Street for going along. The Facebook financial conflicts-laden Second Circuit in Paul Ceglia’s appeal (see previous post for analysis of their financial disclosures, also here: Cabraras | Raggi | Calabresi) took only one day to issue its opinion. The hearing occurred in Manhattan only on Thursday. This Made-for-TV opinion is replete with narcissistic references to Facebook’s "Academy Award-winning movie." Remarkably, an allegedly-esteemed U.S. appeals court is taking its cue about the facts and the law from Hollywood. The National Enquirer would be proud. The “Summary Order” ignored the elephant in the room. The recent U.S. Secret Service Forensics report concluded that the CONTRACT IS VALID and NOT A FORGERY as claimed by Zuckerberg. Despite this hard evidence, the Second Circuit continued to support the BIG ZUCKERBERG LIE—that the lower court got it right by so-called “clear and convincing evidence” that the contract was a forgery. The lower court judge made that decision without a jury trial, and with a magistrate judge, Leslie G. Foschio, who issued a 155-page report using only Facebook’s forensic hired-liar experts whom he shielded from cross-examination by Ceglia’s experts. Ceglia was also blocked from discovery of Zuckerberg’s 28 hard drives and Harvard emails. Ceglia’s appeal focused on these clear abuses of due process—which the Second Circuit IGNORED. This is one of the most pathetic abuses of federal power in recent memory. Like lemmings, these appeals court judges spout the Zuckerberg fiction while ignoring affirmed facts by the government’s own experts. Ceglia says he is telling the truth. The Secret Service affirms that he is telling the truth. And yet, these judges ignore the evidence and say he is guilty. These judges (Calabresi, Cabranes and Raggi) hail from Yale and Harvard Law. The quality of their legal and moral education is very evidently suspect. Welcome to the kangaroo courts of the old Soviet Union folks. We've arrived. This opinion proves this thesis with empirical evidence. Click here to read the Second Circuit opinion. Summary Order, Doc. No. 158-1, Ceglia v. Zuckerberg; Holder et al, 14-1365-cv; 14-1752-cv (2nd Cir. 2014). Fig. 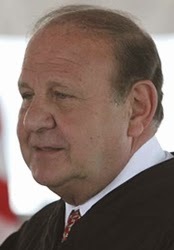 1— News Flash!—Gibson Dunn whistle blower says Snyder & Southwell will likely stonewall orders: "Just like Hillary Clinton has been instructed"
Judge Vernon S. Broderick's Good Friday order rebuked Facebook's defiance of his earlier Order. In response, sources at Gibson Dunn LLP say attorneys Orin S. Snyder and Alexander H. Southwell remain defiant; showing no intention of providing the Zuckerberg information to anyone, including the newly-appointed Broderick. These are the same men who obsequiously "thank[ed] the Court for its kind consideration" when they needed the judges' approval to enter the case. See Fig. 2. Now out come the fangs. The source says Synder and Southwell have gone through the motions and have regurgitated information they have already provided. In other words, they sent nothing new. Concealing evidence is a criminal offense. The source says Gibson Dunn did not check the 28 Zuckerberg hard drives and Harvard emails. Alexander Southwell wrote to Ceglia's attorney on Monday, Apr. 08, 2015, stating defiantly: "Don't get too excited, you're not getting anything the government doesn't already have" (paraphrase). Breaking News, 7:08 MST—As we were publishing this post, we received notice of a new docket entry regarding the Facebook document production. Paul Ceglia's attorney, Robert Ross Fogg, filed a "Noncomplaint Production under Rule 17 Subpoena" letter to Judge Broderick. Fogg confirmed by reference our whistle blower information and described Gibson Dunn's production as "gratuitous" and "deliberate evasion." Click here for the Fogg Letter. Are Synder & Southwell too big for their britches? Photo: C-SPAN in ACLU v. Clapper (NSA). (Apr. 08, 2015)—Mark Zuckerberg’s and Facebook’s Gibson Dunn LLP attorneys, Orin S. Snyder and Alexander H. Southwell, were allowed to enter the U.S. v. Ceglia by the previous judge, Andrew L. Carter. 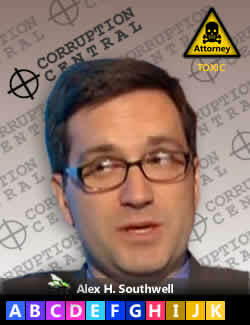 Synder and Southwell forced their way in as self-designated "victims" of a now debunked alleged fraud. New forensic evidence by the government's own Secret Service forensic lab proved last month that the Ceglia-Zuckerberg contract is genuine. In short, if the new evidence stands, then this means that it is Zuckerberg and Gibson Dunn LLP who have been committing fraud on the court for almost five years, not Ceglia. A white collar criminal's modus operandi is often to accuse the target of the crimes he is committing. This forces the victim to prove a negative, e.g., "How long has it been since you stopped beating your wife?" These schemers have kept this plate spinning for five years—all through the Facebook IPO season. Judge Carter tainted this case when he allowed Southwell and Snyder to enter the case on Jun. 26, 2014. 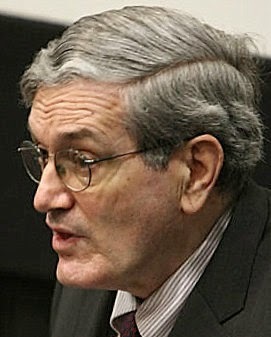 Southwell was simultaneously counsel to JPMorgan in U.S. v. JPMorgan et al in a $614 million mortgage fraud settlement with the U.S. government, as evidenced by Southwell's entry of appearance (Mar. 14, 2014) in that case just a few months before his entry in the Ceglia case. JPMorgan is a key Facebook underwriter and beneficiary. Fig. 2—Orin Snyder's and Alexander H. Southwell's request to intervene (left) in U.S. v. Ceglia, submitted and ordered by Judge Andrew L. Carter on Jun. 26, 2014. Fig. 3—Alexander H. Southwell, Gibson Dunn LLP, certification of his representation of JPMorgan Chase, as shown here (p. 19, US v. JPMorgan), at the same time as he and Orin S. Snyder made their appearance in U.S. v. Ceglia. 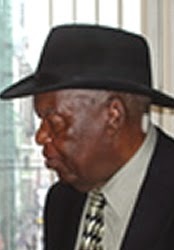 Judge Andrew L. Carter held 9 investments in JPMorgan which he failed to disclose prior to ordering Southwell and Snyder into the case. Fig. 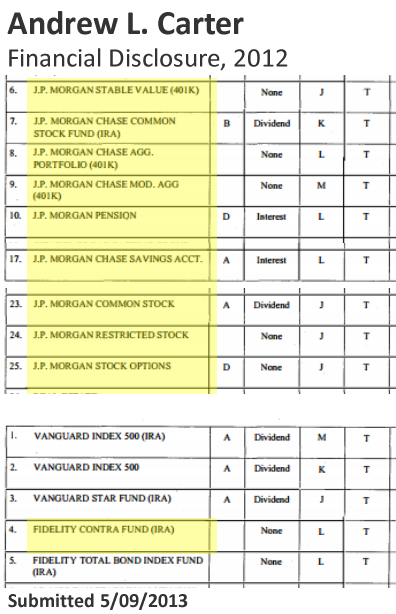 4—Andrew L. Carter, Financial Disclosure, 2012 showing some of his financial holdings that created a conflict with his allowing JPMorgan's and Facebook's counsel, Gibson Dunn LLP, to intervene in U.S. v. Ceglia. Click here to download Andrew L. Carter Financial Disclosure, 2012. However, Judge Carter failed to disclose his nine (9) financial holdings in JPMorgan. He also holds substantial investments in other notorious Facebook pre-IPO beneficiaries, including Fidelity Contrafund (FCNTX) and Vanguard Funds. Carter's and Southwell's common interests in JPMorgan meant that Carter was not impartial, in evident violation of Canons 2 and 3 of the Code of Conduct for U.S. Judges. On Jan. 08, 2015, Carter withdrew inexplicably from the case. 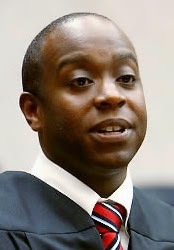 Judge Vernon S. Broderick was assigned. Carter's withdrawal cannot undo the damage his JPMorgan conflict of interest with Gibson Dunn LLP's has done. The precedential U.S. Supreme Court case Tumey v. Ohio, 273 US 510 (1927) explains why a judge with a financial interest in one of the litigants taints the proceedings ("direct pecuniary interest in the outcome" and "motive to convict"). Eric H. Holder, as U.S. Attorney General, benefited from the $614 million Justice Department settlement with JPMorgan. Holder also holds up to $22.5 million in investments in in Fidelity, T. Rowe Price and Vanguard which are notoriously known Facebook investors. These funds also hold substantial amounts of JPMorgan stock. Therefore, Holders investments do not satisfy the so-called judicial "safe harbor" exemption, since the appearance of impropriety alone is audacious in its ignoring of long-standing ethics conflict of interest principles. 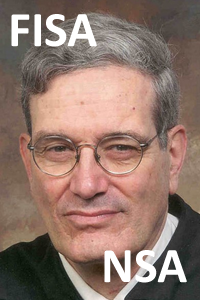 Judge Richard J. Arcara, the judge who proclaimed the Ceglia-Zuckerberg contract a forgery without even allowing Ceglia to conduct discovery, also holds four (4) JPMorgan investments, along with Fidelity (4 holdings), and the following Facebook IPO underwriters: Goldman Sachs (4 holdings), Bank of America (4 holdings), Citigroup (3 holdings), Wells Fargo (2 holdings) and Credit Suisse (1 holding). This is at least 22 reasons he made decisions favorable to Facebook. If he attempts to hide behind the so-called "safe harbor" exemption scam, that's just more proof he's a crook, we believe. Any reasonable person can see these investments required disclosure and recusal. Instead, he declared the contract a forgery without even having a government expert opinion. He took Facebook's hire-a-liar expert's word alone. The same thing occured in Leader v. Facebook. Obama-nominee judge Leonard P. Stark affirmed a Facebook on-sale bar claim that he allowed them to add just three weeks before trial. He then blocked Leader from obtaining discovery on the new accusation. Leader proved infringement on 11 of 11 claims anyway. Facebook presented no expert testimony at trial (which is required to prove on-sale bar claims about computer source code), yet Stark ruled in Facebook's favor anyway. 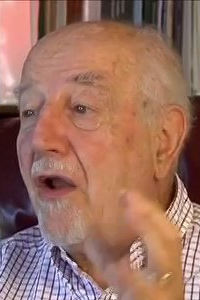 Leonard P. Stark also did not disclosue his substantial financial holdings in Facebook interests. Like Judge Carter, Eric H. Holder, Bharara's boss, is also a Fidelity Contrafund (FCNTX) investor—the largest mutual fund in Facebook. The following judges in Leader Technologies v. Facebook also held and still hold Facebook Fidelity Contrafund. Stephen C. Siu, Patent Judge (Patent Office), former employee for IBM, vendor of 750 patents to Facebook two months before the Facebook IPO on May 22, 2012; Facebook insiders cashed out over $16 billion shares on Day 3 of the IPO, including Mark Zuckerberg and James W. Breyer, Accel Partners LLP (see Transcript), Zuckerberg's Harvard handler, along with former Harvard president, Lawrence "Larry" Summers. See notoriously-known public confirmation Fidelity Contrafund (FCNTX)'s leading role in the financing and valuations of Facebook: Weiss, M. (2011, Jun. 1). Fidelity’s Danoff Bets on Social Networking With Facebook Shares. Bloomberg News; See also Lucchetti, A., Demos, T. (2012, Aug. 24). Morgan Stanley Funds in Big Facebook Bet. The Wall Street Journal; Demos, T. (Apr. 24, 2012). Who Else Has a Big Bet on Facebook [Vanguard, Morgan Stanley, Facebook insiders, Mark Zuckerberg, Accel Partners, Goldman Sachs, Baillie Gifford (Vanguard associate), BlackRock, T. Rowe Price, Sands Capital, Jennison, Capital Research ]. The Wall Street Journal; Pilon, M. (Apr. 16, 2011). T. Rowe Price Invests in Facebook. The Wall Street Journal. e.g. Nice Fellows, Best Buds, Rogues Gallery, Den of Thieves . . .
See AFI. (Mar. 16, 2015). People you trusted on now hijacking the cyber world. Findings of Fact, Timeline, Database. Americans For Innovation (HTML version). See also PDF version. Fig. 5—Left to Right, Top to Bottom; U.S. v. Ceglia / Ceglia v. Zuckerberg (conflict threads in red). Richard J. Arcara—U.S. Judge in Ceglia v. Zuckerberg; JPMorgan investor; Facebook investor. Photos: Holder, Press Hearald; Carter, ShalomLife; Chandler, NIPLI; Bharara, USDOJ; Snyder, theverge.com; Arcara, MichaelBrey.org; Southwell, Bloomberg; . After Snyder’s openly arrogant letter to Judge Broderick last week, AFI investigators decided to learn more about these men. 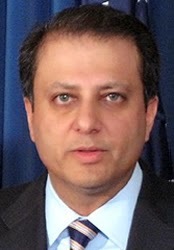 We quickly discovered substantial conflicts of interest with U.S. Attorney Preetinder “Preet” Bharara and the U.S. government, cited above. 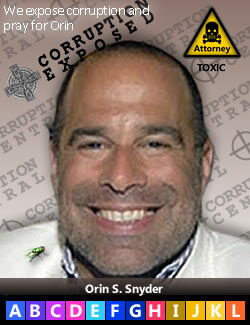 In the Southern District Court of New York alone, Snyder is listed as attorney on 125 cases. Southwell is listed on 170 cases. At what point should such attorneys be banished from the practice of law? Synder and Southwell, practically speaking, monopolize lower Manhattan legal activity in certain subject areas. Indeed, there comes a point with such individuals where they can no longer resist the temptation to abuse their knowledge of the weaknesses of our system of justice for themselves, their cronies and the highest bidder. Facebook and JPMorgan must be paying them a pretty penny to tell their lies. Snyder is a former prosecutor and Southwell a former Assistant U.S. Attorney in Bharara’s Southern District Court of New York (SDNY). Snyder’s and Southwell’s former employment by the U.S. government disqualifies the government from permitting them to enter this case. This bias cannot be any more evident. Such incestuous relationships among Snyder, Southwell and Bharara double down on the bias against Paul Ceglia, especially since Bharara formerly worked for Gibson Dunn LLP. He does not disclose that Gibson Dunn LLP stonewalled the discovery and prevented Ceglia from being able to examine 28 Zuckerberg computer hard drives and Harvard emails to prepare his defense. 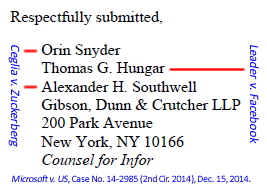 Snyder also does not disclose that Gibson Dunn concealed the existence of those drives in Leader v. Facebook. Synder's assertions about Ceglia's alleged fraud on the court are now proven false by the government’s own Secret Service forensic analysis. Zuckerberg is the fraudster, not Ceglia. Alexander H. Southwell’s Gibson Dunn LLP biography repeats the same Snyder false statements. He says he was instrumental in “developing evidence of spoliation of evidence and fraud” in the Ceglia case. This statement has now been discredited by the new Secret Service forensic report proving the contract to be genuine. Was Southwell’s use of “developing evidence” a euphemistic deception for his work to fabricate evidence they used to frame Paul Ceglia? Evidently. If Zuckerberg is innocent, then why the Gibson Dunn LLP "Punks with a Pen?" Mr. Ceglia is certainly getting the attention of some of Manhattan’s most pernicious legal insiders. Their body language and rapacious activity says it all. Go Judge Broderick! True inventors and our Republic need you to do the right thing. Fig. 6—2nd Circuit Judge Jose A Cabraras. Judge Cabraras was just assigned to the Ceglia appeal despite his substantial financial holdings in Facebook interests, and his FISA Court membership—which ties him to Eric H. Holder, the plaintiff in U.S. v. Ceglia, and the defendant in the ACLU v. Clapper (NSA) appeal being heard by Judge Broderick, who presides over U.S. v. Ceglia. What ethics school did these people attend? Oh right. They skipped class. Cutting through the Gibson Dunn astroturfing slander of Paul Ceglia, do you need to know more about this case? Secret Service Forensics just validated the contract, and Paul Ceglia has been blocked at every turn from conducting thorough discovery on Mark Zuckerberg . . . for five years. What are they hiding? Why was a FISA judge assigned while Broderick is srutinizing FISA-NSA in the ACLU v. Clapper appeal in this same court? The ambush is evident. (Apr. 16, 2015 Breaking News)—An appeals court hearing was held this morning in Ceglia v. Zuckerberg and U.S. v. Ceglia. The three-judge panel assigned was composed of Jose A. Cabraras (JAC), Reena Raggi (RR) and Guido Calabresi (GC). See the cryptic docket entry above. Ceglia v. Zuckerberg, Case No. 14-1365 (2nd Cir. 2014). Analysis of their Senate confirmation and financial disclosures has uncovered an evident abortion of impartiality. Conflicts analyses: Cabraras | Raggi | Calabresi. Our opinion is that this panel is more of the same judicial bias that swirls around Facebook. Review of the Raggi, Cabrares and Calabresi financial disclosures reveals the now familiar pattern of massive holdings in Facebook and the Cartel. Cabraras is a FISA Court judge (PDF) where Reggie B. Walton is presiding judge—both cronies of the secretive NSA kingpin, Professor James P. Chandler. The FISA court is the secret court that granted Eric H. Holder, Jr. almost dictatorial powers to override the U.S. Construction in the name of national security. These powers allowed the National Security Agency (NSA) to spy on American citizens on the flimsiest of probable cause. These Cabraras-Broderick-Holder-Chandler-Walton-Facebook-NSA-FISA Court interconnections hopelessly taint this panel. They are either brain dead as to their conflicts of interest, or this was very intentional (we don't think they are brain dead). 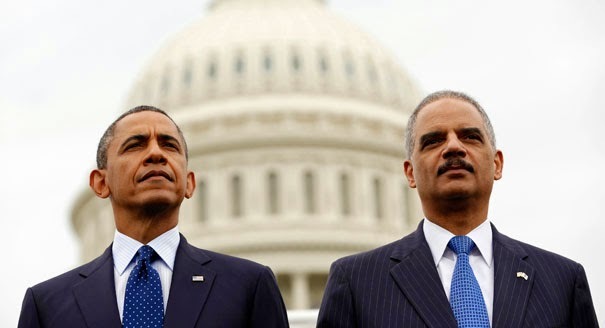 See previous post ''Eric Holder Exploits Secret FISA Laws For Personal Gain'' by Americans For Innovation, Jul. 02, 2014. Whistleblower Edward Snowden disclosed that Facebook began cooperation with the NSA on Jun. 06, 2009, after Obama's White House cabinet was set. 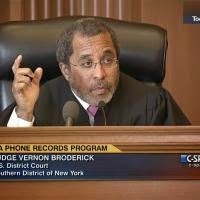 U.S. v. Ceglia lower court judge Vernon S. Broderick is currently presiding in the 2nd Circuit in the ACLU's complaint against the NSA where Eric Holder is a defendant. Fig. 9—Barack Obama, James P. Chandler & Eric H. Holder have presided over perhaps the greatest abuse of American security and privacy via the NSA, JPMorgan, Gibson Dunn, Fenwick & West and Facebook in the history of the Republic. Paul Ceglia is in their way, among others. How dare he upset this predominantly black agenda? There, we spoke about the elephant in this room. The other race card. What seems evident is that the FISA court and Chandler are in damage control, having tapped Broderick to control the ACLU case, and Cabraras to ensure the proper outcome in U.S. v. Ceglia. Ceglia just filed a motion in Broderick's court to review Zuckerberg 28 hard drives and Harvard emails. Broderick has not yet ruled on this motion. Is his FISA crony Cabraras running interference so that he won't have to order Zuckerberg's computers up for analysis at last? How Broderick rules will tell us everything about his intentions to run an impartial tribunal, or circle the wagons even tighter around Facebook—the NSA's favorite spy platform. Is Broderick his own man, or a Cartel puppet. We'll know by how he rules on hacker-thief Zuckerberg's evidence—which the public has a right to see at this point. That public is now watching. Fig. 10—Facebook's "Punks with a pen"
at Gibson Dunn, Orin S. Synder, Alexander H. Southwell and Thomas G. Hungar are teamed up to oppose release of Microsoft discovery which would have a spill over effect in Ceglia. These people do not appear to respect American due process. Their licenses to practice law are a privilege granted by the American people and should be revoked. They have forgotten their ethical oaths. If the judicial system will not police these legal punks, then the People will. Update Apr. 18, 2015—Facebook's Gibson Dunn LLP attorneys in the Ceglia cases, Alexander H. Southwell and Orin S. Snyder, recently teamed up with Facebook's Gibson Dunn Leader v. Facebook attorney, Thomas G. Hungar, who failed to disclose the 28 Zuckerberg hard drives in his possession. They oppose an attempt by the U.S. government to obtain discovery from Microsoft customers outside the U.S. Microsoft is a large Facebook stockholder in which all of the judges in Ceglia and Leader v. Facebook are invested. Facebook has used its ill-gotten revenues to build a massive data center in Lulea, Sweden. If this Microsoft email discovery is allowed, it would give precedent in Ceglia and Leader Technologies for more access to Facebook's evidence hidden overseas. Overseas is one thing, but we know the 28 Zuckerberg hard drives and Harvard emails are in California—hidden by Zuckerberg's attorneys Gibson Dunn LLP and McManus Faulkner LLP—and the courts to date have blocked Ceglia from reviewing them for five years. Facebook's own forensic experts, Rose and McGowen, confirmed their existence (even though Facebook said they were lost in Leader v. Facebook). Also noteworthy, another Facebook lawyer in Ceglia, Orrin Herrington LLP, is defending Microsoft. The koinky dinks are piled a mile high. Too bad we have an Attorney General and Justice Department that play paddy cakes with these unscrupulous attorneys and judges.